Parivartan Morcha, a front of 11 regional parties, on Tuesday released a list of 52 candidates for Uttar Pradesh assembly elections. "The front has decided to unite Kshatriyas divided in different castes and sub-castes and bring them on one platform," said Harivansh Singh, national president of Akhil Bhartiya Kshatriya Mahasabha. He said that priority has been given to candidates having clean and honest image. Under the umbrella of the morcha, 64% Kshatriyas, divided in various castes and sub-castes, including Muslim would come on one platform. After demolishing the Left bastion in West Bengal, Trinamool Congress led by Mamata Banerjee is all set to make its electoral debut in the Hindi heartland of Uttar Pradesh in the coming assembly polls. 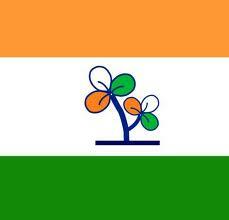 The party, in coalition with the Rashtriya Parivartan Morcha comprising smaller parties, would contest the coming elections, newly-appointed convenor of the state unit of the Trinamool Congress, Bhagwan Singh said here. He said that priority has been given to candidates having clean and honest image. "Due to come and go governments, development of the state did not take place," Singh alleged. "In democracy, when people say something unitedly they get weightage," he said. He said that under the umbrella of the Morcha 64 per cent kshatriya, divided in various castes and sub-caste, including Muslim kshatriyas would come on one platform.